The Reiki/Sekhem Personal Growth Accelerator is a simple self-treatment and self-healing system which can be used as a general purpose tool for healing yourself in a whole range of areas. For some examples of how it can be used in this way, click here. This system also enables you to combine the powers of Reiki/Sekhem and the Law of Attraction. It is a very simple Personal Growth / Personal Development system with no prerequisites. You do not need to already know anything about Reiki/Sekhem in order to participate in this program. A basic version of the first step in the program is available free and many people may not need to go any further than this first step. Your first step will give you a Personal Growth tool, which is a complete self-healing system, that you can use for the rest of your life. The Personal Growth Accelerator is a system that uses elements of Reiki/Sekhem to raise your own personal "energy vibration". Raising your energy vibration will in turn raise your consciousness, enabling you to experience life from an increasingly higher perspective. It will also lead you to automatically begin releasing trapped emotions and subconscious beliefs that can restrict your potential for personal growth and for achieving greater happiness, fulfillment, success, health and abundance in life. This system is an excellent support aid for anybody wanting to work with The Law of Attraction. It is a powerful tool for removing subconscious negative beliefs and emotional baggage that can both (a) block the attraction of abundance and (b) cause The Law of Attraction to attract things you do not want. The Personal Growth Accelerator will assist with Psychic Development and increasing psychic perception. It is also an excellent tool for developing and expanding your heart centre and for increasing your ability to give and receive love. The system is very simple and easy to use. It will not require you to read a lot of information and it will not require a lot of time input. The system has been designed so that it can be suitable and effective even for people who have very busy lifestyles and who do not have the time or energy to squeeze in much extra. The Personal Growth Accelerator works by raising the vibration of the Universal life-force energy that is flowing through your body. This in turn will raise your own personal energy vibration. Universal life-force energy is something that flows through all living things. It sustains us and it can also be used to heal us on the physical, emotional, mental and spiritual levels. The system uses a series of "energy attunements" to raise the vibration of the Universal life-force energy flowing through you. This is done step by step over time, at your own pace. The energy attunements can be sent to people anywhere in the world by a process known as "distance healing". These attunements will also assist in increasing the amount of energy flowing through you by working on clearing and expanding your internal energy channels. A further effect of the ongoing attunement process is that it will strengthen your intuition - your sixth sense - which is the voice of your own Higher Consciousness (Higher Self) guiding you through life. This can assist you in making better and more informed decisions that result in increased personal growth and success in life. The attunements and working with the energy will develop your connection with your Higher Self. There are a total of 7 possible steps available in the program, each of which involves energy attunements. Many people may only need to take the first step. Each step is complete in itself and you need only take as many steps as you feel are appropriate for you. 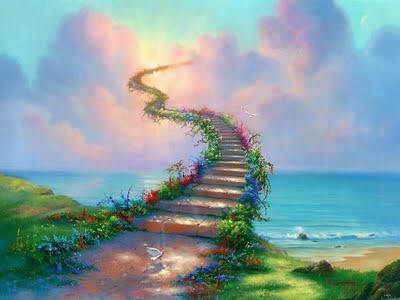 Each step will produce a shift in your energy vibration and your consciousness, taking you to a higher level. It usually takes 1 - 2 months to fully integrate each step before you can move on to the next, however you can wait much longer than 2 months between steps if necessary. It is best not to move on to the next step until you really feel ready to do so. The basic version of the first step in the Personal Growth Accelerator Program (and the related energy attunements) is available for free. After completing your first step, you will have a self-healing tool (Universal Energy) that you can use to assist you in continuing to remove subconscious negative beliefs and emotional blockages and continuing to raise your own energy vibration to further your own personal growth. You will have this tool and be able to work with it for the rest of your life, regardless of whether or not you choose to go beyond your first step of the program. The Personal Growth Accelerator can be used purely as a simple and easy-to-use, general purpose self-healing tool. This system is based on Universal life-force energy and you can use this energy to give self-treatments to assist in healing yourself in a whole range of areas. Please be aware that personal growth sometimes involves "growing pains" and that this program and the related energy attunements are likely to bring about changes in you. To see what people are saying about their experiences with the Personal Growth Accelerator, see the Personal Growth Accelerator Facebook discussion/support group - click here. One of the most well known of these Natural Healing systems is Reiki. Reiki was developed in Japan and Reiki is a Japanese word meaning “Spiritually guided Universal life-force energy”. 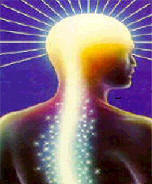 Reiki is primarily used to give hands-on treatments. 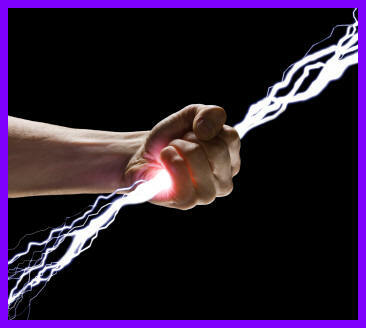 The energy is channelled through the hands into the receiver, where it goes to work to heal on the physical, emotional mental and spiritual levels. Reiki can be used to treat one's self or others. The Reiki energy operates automatically under the guidance of the receiver’s own Higher Consciousness and always works for the receiver’s Highest Good. Another of these Natural Healing systems is Sekhem. Sekhem (also known as Seichim) originates from Egypt. Sekhem is an ancient Egyptian word meaning “Power” and “Universal Energy”. Sekhem could be thought of as a very advanced form of Reiki. It works in a similar way to Reiki but operates at a higher vibration and heals on a deeper level. Sekhem carries within itself the energy of unconditional love and is very connected with the emotional heart centre. Working with Sekhem helps to develop and expand your heart centre and helps to increase your ability to give and receive love. The Personal Growth Accelerator system is based on Sekhem and involves attunement to the Sekhem energy. Sekhem is a powerful and advanced tool for releasing and healing blockages on the emotional and mental levels (and also on the physical and spiritual levels). Because it works under the direction of the receiver’s own Higher Consciousness, you don’t need to know exactly what subconscious blockages you have or how to fix them. Your Higher Consciousness knows what’s going on inside you at all levels. It knows about any blockages you may have and it knows how to release and heal them for you. Whenever you release blocked energy, particularly trapped emotions from the past, you create more space within yourself to contain love and light. Because Sekhem embodies love and light, when more space becomes available within you, it is able to channel in love and light to fill up that space. This also boosts your capacity for feeling gratitude. Gratitude is the most powerful and important feeling of all to cultivate if you want to work with the Law of Attraction. The more love, light and gratitude you have within you, the more positively magnetic your vibration becomes. The Universe is always responding to your vibrational state, so the more positive your vibration is, the more powerfully and positively the Law of Attraction will respond to you. 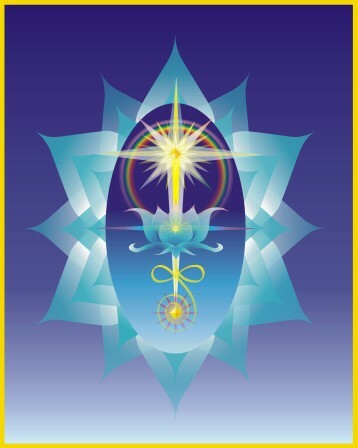 Attunement to Sekhem develops your connection with the Source - the intelligent Universal creative force itself - on a deep level. It also raises your personal energy vibration and consciousness. The higher your vibration and consciousness become, the faster and more powerfully the Law of Attraction will respond to you. The form of Sekhem used in the Personal Growth Accelerator system is called Ka Shen Sekhem. For in-depth information about this energy, please click here: Ka Shen Sekhem. This system is used in exactly the same way at each step. It is just that with each higher step, the energy vibration becomes higher and more powerful. You do not need to have any previous experience with Reiki or Sekhem in order to participate in this program. Step 1 (basic version) is available for free by distant healing attunement. Step 1 (full version) is available by distant healing attunement for $20 Australian. Steps 2 - 7 are available by distant healing attunement for $60 Australian per level. What is the difference between the basic version of Step 1 and the full version of Step 1? The basic version gives you a milder form of the Sekhem energy to work with and includes 3 energy attunements. The form of attunement used in the basic version of Step 1 is different from the form of attunement used in the full version of Step 1 (and all the steps beyond Step 1). The basic version uses a form of attunement called a Spontaneous Initiation attunement. This "Spontaneous Initiation attunement" is a process that is performed automatically by the energy itself, in accordance with your specific needs at the time. It is something that you request directly from the energy itself. During a Spontaneous Initiation attunement, the energy will work together with your own Higher Consciousness (your Higher Self) to connect you up with the Sekhem energy. It will also provide additional healing that you may be needing for your Highest Good at that time. For the basic version of Step 1, you receive 3 Spontaneous Initiation attunements. As mentioned above, you request these attunements directly from the Sekhem energy itself. The way to request these attunements is explained in the manual for the basic version of Step 1. You can download this manual for free (see below). The full version of Step 1 involves 4 attunements. These attunements are different from the attunements used in the basic version. They are more of a traditional form of attunement and they are not requested directly from the energy itself. These attunements are deeper and more powerful than the Spontaneous Initiation attunements. The full version of Step 1 gives you a richer and more advanced form of Sekhem. The energy in the full version will be able to heal you more deeply and move you forward with greater speed and ease, however the energy in the basic version will still be quite effective. If you want to receive the full version of Step 1, you need to first complete the basic version of Step 1. This is because the basic version will provide a good foundation for the full version. It will prepare you for the full version and enable you to get greater benefit from the full version than you would be able to get if you did not first receive the basic version. If you want to do one of the steps beyond the basic version of Step 1 but you can't afford it, just send me an email. I don't want money issues to prevent anyone from having access to this system so I do make exceptions. The Personal Growth Accelerator Step 1 (Free Basic Version) manual is available for viewing and downloading. This manual may be freely copied and passed on to others, provided that it is not modified. You may find that you can connect with the Personal Growth Accelerator energy, using the Channelling in the Sekhem Energy exercise in this manual, even if you have not received any of the Personal Growth Accelerator attunements. If you would like to try the basic (free) version of Step 1, all you have to do is download the manual for the basic version of Step 1, read the manual carefully and follow the instructions for receiving the attunements. The way to request the free attunements is explained in the manual. The attunements will come to you automatically when you request them. If you would like to do the full version of Step 1, begin by taking the basic version of Step 1. After working with that for an appropriate period of time (as explained in the manual for the basic version of Step 1), please send me an email to request the full version of Step 1. In order to send you your attunements for the full version of Step 1, I will need to know your first name and surname, and your location (city and country). For example: Mary Thomas, Melbourne, Australia. Please also let me know if you have previously received any attunements to Reiki or Seichim/Sekhem, excluding the attunements for the basic version of Step 1. Please contact Peter Chapman for more information. For contact details and information about Peter Chapman, click here. 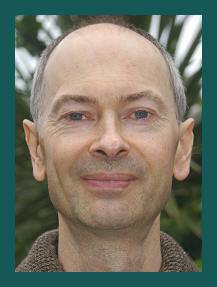 The Personal Growth Accelerator was developed in Melbourne, Australia by Peter Chapman. The Law of Attraction is a Universal law that states: Energies and vibrations attract similar energies and vibrations. Like attracts like. Our thoughts, feelings, beliefs, expectations, actions and words send out energies and vibrations into the Universe. These outgoing energies and vibrations then attract back to us things of similar energy and vibration. This means that by choosing our thoughts carefully, and by being very aware and careful about which thoughts we choose to focus on, we can intentionally and positively affect what is being attracted into our lives. We can potentially control what we are manifesting for ourselves in the physical world. We can use the Law of Attraction to attract abundance and manifest our dreams. But the way the Law of Attraction operates can be influenced in a big way by our subconscious beliefs, our feelings and our expectations. Some common obstacles that can prevent the Law of Attraction from bringing us the positive things we want to manifest in our lives are our subconscious beliefs of unworthiness, our feelings of unworthiness and our fears. - I do not deserve abundance. - I do not deserve success. - I do not deserve love. The above beliefs and feelings stem from the basic fundamental belief and feeling of “I’m not good enough”. Feeling and subconsciously believing that “I’m not good enough” are a common and normal part of the human experience. These things usually get set up in our past experiences, particularly in our early childhood, and can sit trapped within us at a very deep level. They can then give rise to a multitude of negative behaviour patterns and problems in our lives. These subconscious beliefs and feelings can override the conscious thoughts we may be creating to try to use the Law of Attraction to manifest what we want. In fact, whether we realise it or not, our subconscious beliefs and feelings can be attracting into our lives things that we do not want. This is very common. Let’s say, for example, that you want to use the Law of Attraction to manifest financial abundance. If you subconsciously believe that you do not deserve financial abundance and you feel unworthy of financial abundance then this will also automatically lead you to form the expectation that you are not going to have financial abundance. - There will never be enough money. - Money is the root of all evil. - Money has a bad influence on people. - Money drives people to do bad things. - People who have money are selfish. In order to allow the Law of Attraction to more easily work in our favour and bring us what we want, we can work on removing any negative subconscious beliefs, trapped emotions, expectations and fears that may stand in the way. The Personal Growth Accelerator is a powerful tool for doing exactly this. It enables you to bring together the powers of Seichim/Sekhem, Reiki and the Law of Attraction to manifest your desires. You can use it to focus on removing any blockages you may have related to attracting the specific things that you want. For example, you can use it to focus on clearing any blockages you may have related to attracting financial abundance. It may take ongoing work over a period of time to completely clear all the blockages related to attracting something in particular, such as financial abundance. The things that need to be released and healed can be held very deep within you. There can be many bits and pieces that have to be dealt with and they can be connected in complicated ways, so it may not be a straight forward process. But if you are patient and persevering, you can get results and see huge changes in your life. The more you are able to clear your blockages, the more free you will be to easily attract into your life the things you really want. In fact, the more free you are of blockages, the more you will automatically attract wonderful things into your life without even trying. In addition to being a tool for removing unwanted negative subconscious beliefs and emotional baggage, The Personal Growth Accelerator is a system for raising your energy vibration and your consciousness. The more you raise your energy vibration and your consciousness, the more you will further increase your ability to effectively work with the Law of Attraction. The more you raise your energy vibration and your consciousness, the faster and more easily your thoughts will manifest into your reality. Source of most of the above quotes from Abraham: Money and the Law of Attraction, by Esther and Jerry Hicks, published by Abraham - Hicks Publications. Visit the Abraham website at: Abraham - The Law of attraction. An attunement is a special procedure that is carried out on a student to enable them to channel Reiki or Sekhem energy. It is a kind of "mystical energy operation" that helps to open and clear the student's internal energy channels. It also "tunes the student in" to the Reiki or Sekhem energy frequency so they can then act as a receiver of the energy, much like a radio acts as a receiver of the signal transmitted by a radio station, once it has been tuned in to the radio station's frequency. An attunement is normally carried out by a Reiki or Sekhem teacher (known as a Master) however under certain circumstances, a special kind of Sekhem attunement can be automatically carried out by the Sekhem energy itself, without human assistance. An attunement is both an initiation and a healing in itself. It is considered something special and sacred. People often have mystical and spiritual experiences while receiving attunements. Although with normal attunements the Master (teacher) goes through a specific procedure to bring about the attunement process, it is the energy itself that does the real work. Exactly what the energy does and how it does it is not fully understood but it is certainly effective and what it achieves is miraculous. Once the student has their internal energy channels open and clear, and they have been "tuned in" to the Reiki or Sekhem energy frequency, they can then channel the energy through their body and out of their hands at any time. The attunement process connects the student up to an infinite supply of the Reiki or Sekhem energy. To Like this page (with Facebook), please click the Like button below. You can also send this page to someone through Facebook with the Send button. 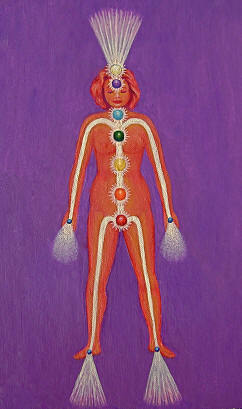 "Universal life-force energy flowing through the human body"